Great insurance ads like this Falls Lake Insurance Business Man on Dock Ad show how daunting and wide open business risk management can be. Placing a businessman in a foreign setting – nature – the point gets across how out of their element most business owners and executives are when they start to make decisions outside of their expertise. Falls Lake Insurance focuses on underwriting specialty insurance products through limited distribution partners within desired industry segments. 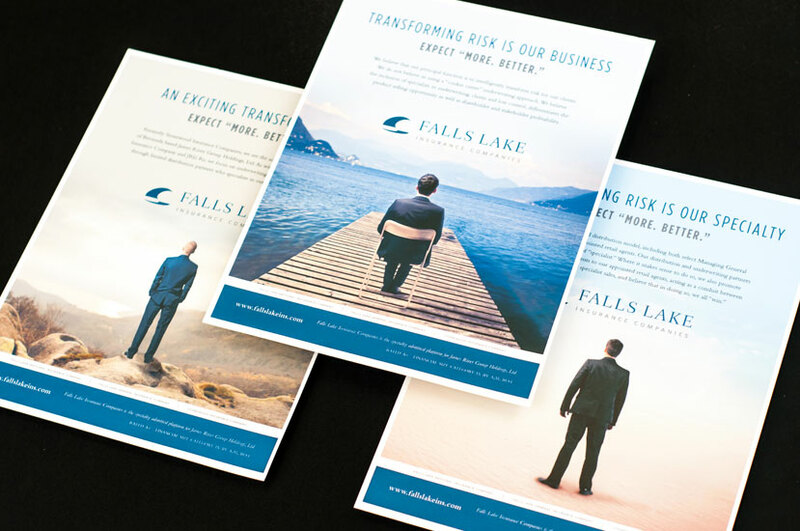 Falls Lake Insurance companies represent an entrepreneurial combination of rigorous underwriting and claims management with an experienced, common sense approach to the business.